Our new, full day winter driving clinic is filled with information and experiences that will make any driver, a better driver. Have you ever driven on a skid pad? It’s a section of pavement that allows drivers to learn the correct way to control a skid. With our expert instructors on board, you will learn how to anticipate, avoid and correct the skids that are all too common in the winter. Driving on the autocross helps you put all you’ve learned together in one mentored, directed driving exercise. This isn’t simply theory … it’s the real thing … and, the lessons learned can take the mystery and worry out of winter driving. 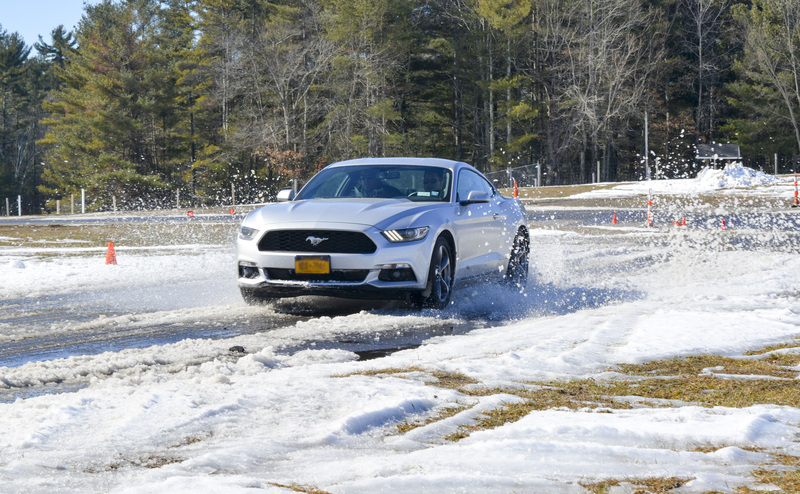 Our new Winter Driving Clinic is a full day course and is being offered on Saturday, December 29 and select Saturdays throughout the winter at Lime Rock Park in Lakeville, Connecticut. It is open to drivers of any age and experience level. The day starts with a catered breakfast through lunch with classroom and driving exercises — until sundown. Our instructors are simply the best in the business and have one crystal clear focus – making sure drivers are prepared for and able to safely handle winter driving. For more information, call one of our representatives at 866-932-1949. Ready to sign up? Enroll here. The lessons learned can take the mystery and worry out of winter driving.